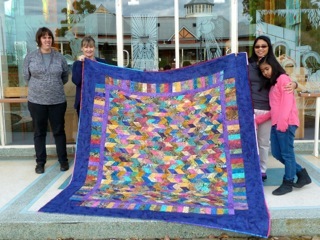 WAQA Community Quilts donated a quilt to be raffled earlier this year for ‘Friends of L’Arche’ Perth. $1850 was raised in ticket sales – a very good result. 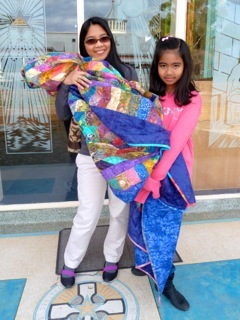 The winner was a young mother from Wilson who had never won anything in her life and was really thrilled to have such a beautiful quilt in her home. Here are a couple of pictures taken at the presentation.